We got a new round about built just down the street from us. Watching comments about it online, you'd think they were sacrificing kittens instead of trying to make the roads safer and easier to navigate. Actually reading most news stories today, you'd think all people have time to do is complain. 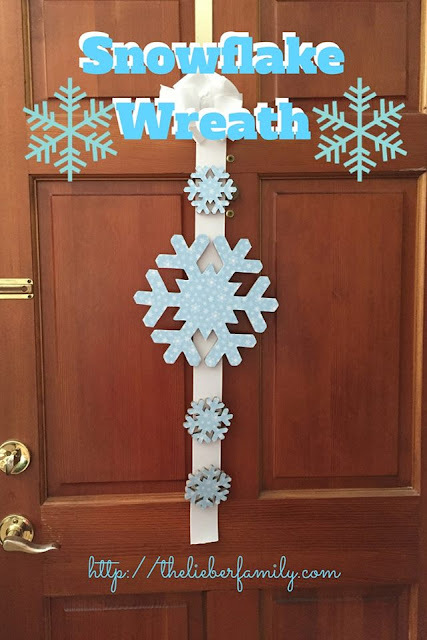 It seems there's a "War on Everything" according to some people: Christmas, Starbucks, politics, moms, dads, etc. People are getting all bent out of shape like it's their job! Well, I declare war on complaining! Complaining can't accomplish much, other than bringing other people around you down in the dumps with you. And while misery may love company, joyfulness is much more gratifying! 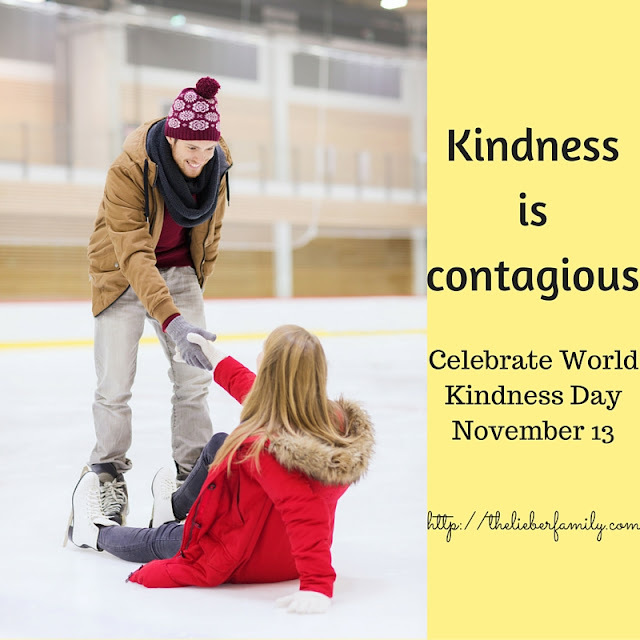 In honor of World Kindness Day on Nov. 13, here are some acts of kindness that will hopefully inspire you to go out and do something kind for someone else today! 1. Henry likes money. He likes earning it, he likes carrying it around with him, and he likes spending it. Earlier this year when he received his First Communion, he collected quite a few cards with money in them. Unbeknownst to me, he put all that money in his wallet and hid it in his sock drawer. Then when his class had a field trip planned and he heard that some kids didn't have enough money to pay for the trip, he snuck his wallet out to school and offered to pay for his classmates to go. His teacher emailed me to ask my permission and I gladly gave it. Of all the things he could spend money on, that one was just fine! 2. When Frances turned 10 she decided she didn't need any gifts. Instead she asked people to give her diapers, baby blankets, and pet food. Then she spent two days delivering her birthday gifts to the homeless mother's home, the SPCA and the local no-kill cat shelter. I have this picture of her pop up frequently when I'm looking for pictures on my computer and I just love it. Have you ever seen a 10 year old so excited about a package of diapers?? 3. I'll be a little self-serving and say that Frances' idea stemmed from a project I did for my birthday that same year. I did 35 good deeds in honor of my 35th birthday. It was a fun way to spend the week and the best kind of birthday gift I could have given myself! 4. I should go one step further back and say that I stole the idea of a good deed birthday marathon from my friend Alysia at Good & Gracious. She did something similar for her birthday the year before and I thought it sounded really fun. At this point in my list I will break and point out that Frances did a good deed because I did a good deed and I did it because Alysia did it. That's the best kind of peer pressure around! Kindness is contagious and paying it forward is much easier than you can imagine. Even if you have no money, no artistic skills, and no extra time on your hands, you can still do a good deed and show kindness to others. Hopefully your acts will inspire other acts of kindness and we could really get a kindness revolution going! Want some ideas? 6. Find a community helper and thank them for the the job they do. That might mean a compliment for the cleaning crew at work, a special note for the fire station down the street, or an extra smile for the mailman as he walks through your neighborhood. 7. Hold the door for someone. There's a man at my church who gets their early every Sunday and holds the door. He welcomes everyone to Mass and always has a huge smile on his face. This act costs him nothing, but my kids (and other people, I'm sure) look forward to seeing him each week. He's even volunteered in my Children's Church class and the kids just love him. 8. Prepare the paper towels in the public restroom. Don't you hate it when water drips down to your elbow while you're getting a paper towel? Whether it's an automated dispenser or an old school crank one, get it ready for the next person. Maybe they'll recognize the kindness and get one ready for the next person too. Then one day you'll get ready to dry your hands and the paper towel will be ready for you. See? You started something!! 9. Stop the cycle! Often when someone is unkind to us (cutting you off in traffic, letting the door shut in your face, mumbling something rude to you) we want to strike back. Even if you don't directly get back at the person who wronged us, we pass our mood forward and act grumpily to others around us. What if, instead of paying rudeness forward, we made an extra effort to do something kind for a stranger? Break the chain and spread kindness instead of rudeness! 10. Allow someone to serve you. This is a hard one for me. But think about it. You know the joy you get from helping someone? Well, if you don't allow others to serve you, you are stealing their joy. So when someone offers to let you in front of them at the grocery store, DO IT! Smile and thank them and watch their face light up with joy for helping you. And now you're happy too! How you can you show kindness to someone today?